Wisdom of Life. : Big end problem? A Ducati bike rider walked into a chemist shop in Brisbane, Qld and asked to talk to a male pharmacist. The woman he was talking to said that she was the only pharmacist and that as she and her sister owned the store, there were no males employed there. She then asked if she could help him. 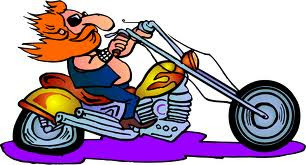 The biker said that it was something that he would be much more comfortable discussing with a male pharmacist. The female pharmacist assured him that she was completely professional, and whatever it was that he needed to discuss, he could be confident that she would treat him with the highest level of professionalism. And $ 3,000 a month in living expenses."